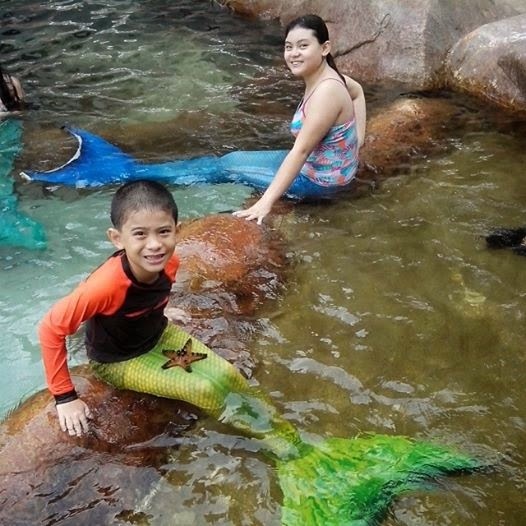 With TV shows like Kambal Sirena and Dyesebel airing on primetime TV every night as well as the deep seated fascination that Filipinos have for mermaids, it was a very welcome surprise when I received an invitation to be a mermaid for a day sponsored by Manila Ocean Park. Since they allowed us to bring a plus one, I immediately thought of my sister K and got her to be the mermaid. Thankfully, the marketing team of Manila Ocean Park were rockstars and they allowed even B to give it a go. This is the result. The kids had so much fun. K said that she found it easy to swim like a mermaid and though the tail end part was quite heavy, it was still easy to manage. 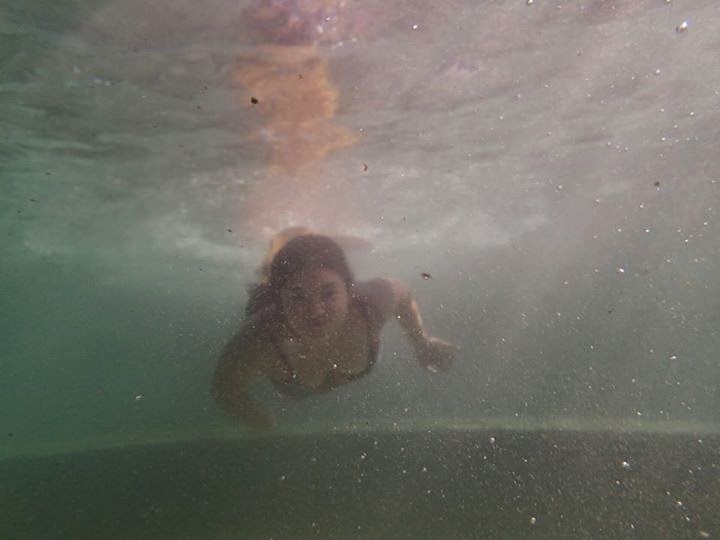 In fact, if you check my IG, you should be able to see videos of both B and K swimming like a mermaid. Yes, even my 8 year old son managed to swim as a merman and he did it pretty well to. I am such a proud Mom. I really liked that the trainers were all very friendly and patient. It matters because a lot of the other mermaids needed help being transported from one rock to another. It also mattered that I did not see any cause for concern and everyone was quite professional. 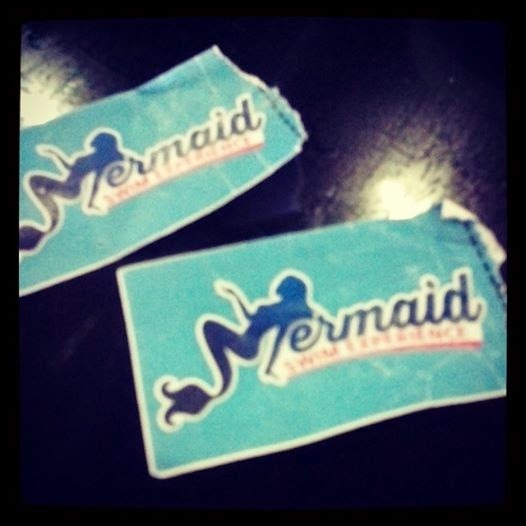 Manila Ocean Park is offering everyone the chance to have a go at being a mermaid for only Php400. You get to have basic swimming classes, how to glide with a fish tail underwater, and proper breathing techniques. You also get to enjoy all these for 45 minutes. The fish tails are elastic, comfortable, and very colorful. It will really make you feel like a mermaid since the tails come in purple, orange, blue, green, and other hues. 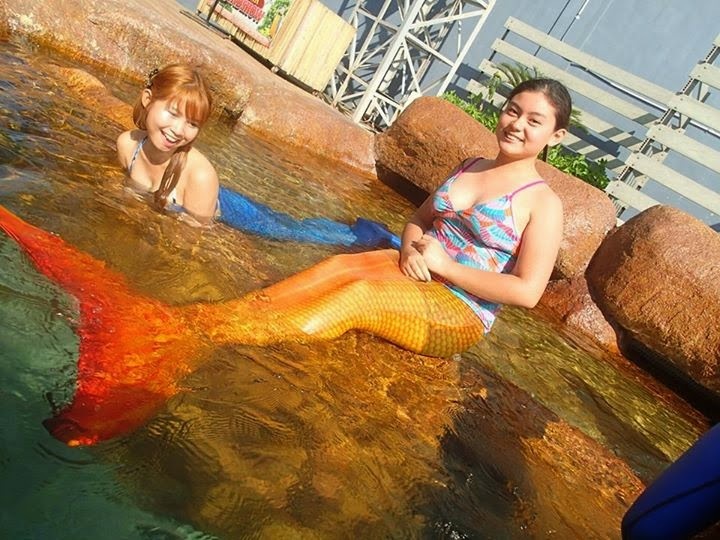 For Php400, you already get a souvenir photo in a mermaid pose. You also get to use the outdoor jacuzzi and indoor swimming pool of Liquid Lounge. Children 4 years and below however are not yet allowed to try this since the fish tails may be too heavy for them to carry. This promo runs from April 11 to May 31, 2014 which makes it an absolute must this summer. Manila Ocean Park is all geared up for the sizzling season with its Dazzling Summer Bundles. Choose from 5 marine life attraction packages and have a refreshing stay without the need to leave the city. The park is located behind Quirino Grandstand in Luneta, Manila. For details, please call 567-7777 ext 118, 119, and 123 or email inquiry@manilaoceanpark.com.